The sound and feel of gut strings with more evenness, projection and stability. 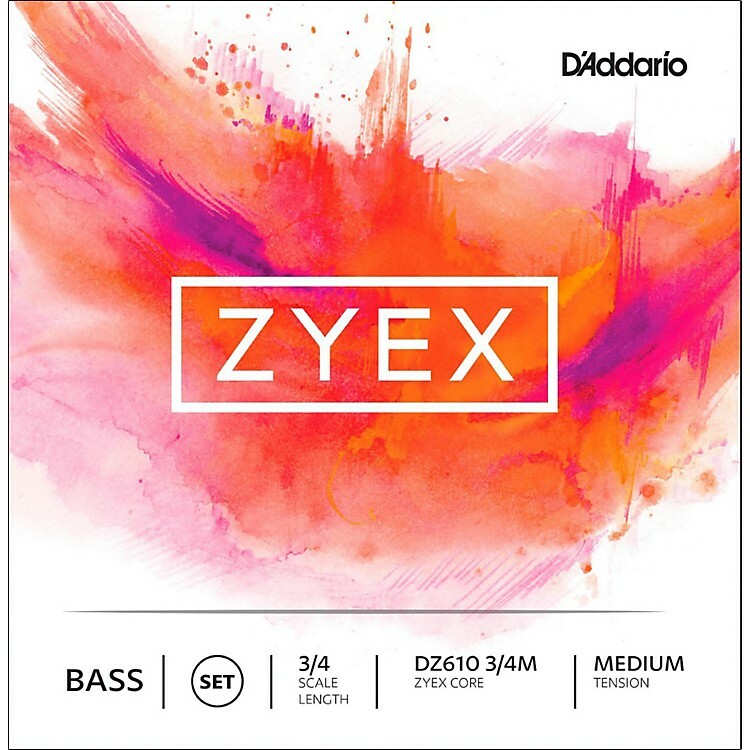 Zyex bass strings use a synthetic Zyex core that provides gut-like rich and complex tone, combined with power and clarity for both pizzicato and bowing. Pitch stability is excellent after minimal break-in time. Zyex bass strings were developed primarily to offer outstanding pizzicato attacks and sustain, as well as superb bowing response. Get the sound and feel of gut strings with more evenness, projection and stability than real gut. Zyex is a new generation of synthetic material, creating strings that are extremely stable under drastic climatic conditions. Scaled to fit 3/4 size bass with a playing length of 41 3/4 inches (1060mm), medium tension strings are optimized for a majority of players. Set and singles available in 3/4 size, medium and light tensions, standard tuning. Try the strings of the future today!